This is a Guest Post. I only share with my readers' information that I find fun, informative, or helpful. Enjoy! As summer comes to an end and design trends change, it is time for an overhaul. There are hundreds of new or renewed trends coming each season, often too many to keep track of, so here are some that I’ve handpicked for you. Lighting is always an issue as the nights grow longer and no one can deny that this trend is both functional, as well as stylish. Statement lighting can really provide life to an otherwise dark and gloomy space. Changing your lights can also reinvigorate an otherwise dull and lifeless room, that you may have felt looked stale and worn out, into a design you can be proud of. A vendor I have been especially impressed with, is LampCommerce. A luxury lighting solutions firm delivering statement lights in a grandiose Italian style. Particularly the Fabbian range. Another trend that I’ve seen, is the use of layered lighting. 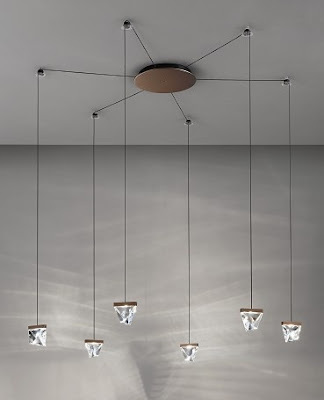 Rather than one central overhead light, use lights at various locations around the room and in different positions. The use of lamps, spotlights and wall lights can showcase spaces within the room, that wouldn’t usually be seen as eye-catching. 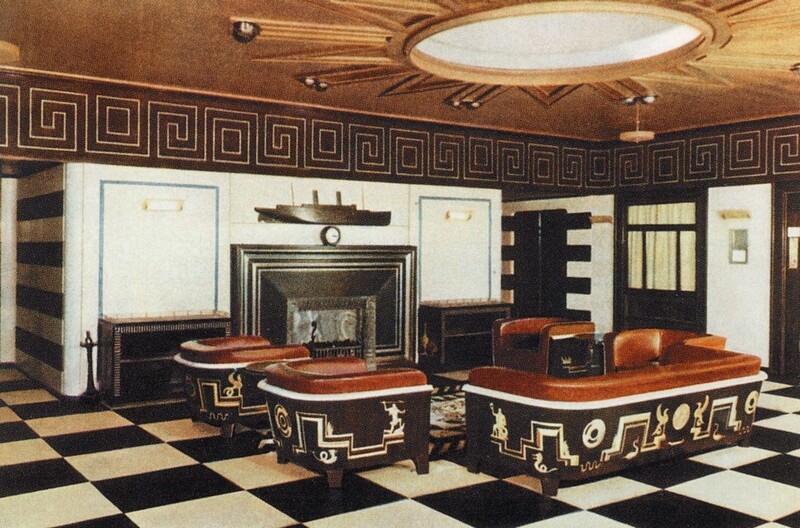 Art Deco has been and gone, but now it looks like it is very much back. Angular and straight-edged shapes are key with radical, bold colors and geometric patterns gaining in prominence. New age materials such as stainless steel and chrome are perfect, however, inlaid oak and plush carpets also fit and meld with this aesthetic. Think Leonardo DiCaprio’s Great Gatsby and the Roaring Twenties that are represented. Although, I do see this trend as more of an all-encompassing philosophy rather than an accent, and so you will need to revamp a whole room rather than a single area. Plush Game of Thrones style furs have seen a rise in popularity ever since the TV shows upsurge. It used to be difficult to find a luxurious feeling faux fur rug or throw for the right price and great quality, but nowadays any company involved in home decoration can supply the perfect piece. This is one of this season’s easier trends to incorporate into your homes and as temperatures plummet, you will be glad of the plush fur beneath your feet, or thrown onto your sofa. 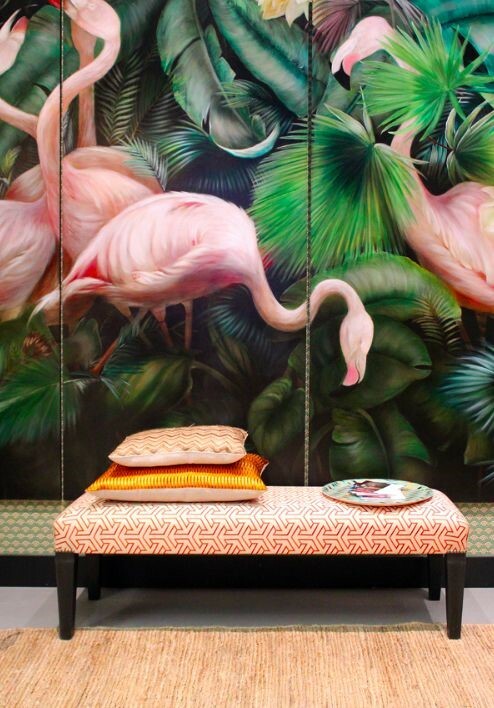 As summer’s warmth fades and nights grow, tropical accents are becoming all the more popular. Exotic prints of broad palms, and little trinkets of flamingos and pineapples, are what this trend is all about. Inspiration from Aruba’s flamingo populated beaches, to the sunlit jungles of Malaysia, is thoroughly encouraged. With the tropics, there is always a difficulty in deciding on what color scheme to follow and how bold or how muted the entire effect should be. Starting small is never a bad choice and a few ornaments or pictures can go a long way. If you are prepared to repaint an entire room, then tropical greens and blues are the way forward. If you are adhering to the slow and steady mindset, then try and choose decorations that already match that of the room. These are some of my favorite trends coming this autumn and winter. Good luck with testing them out!